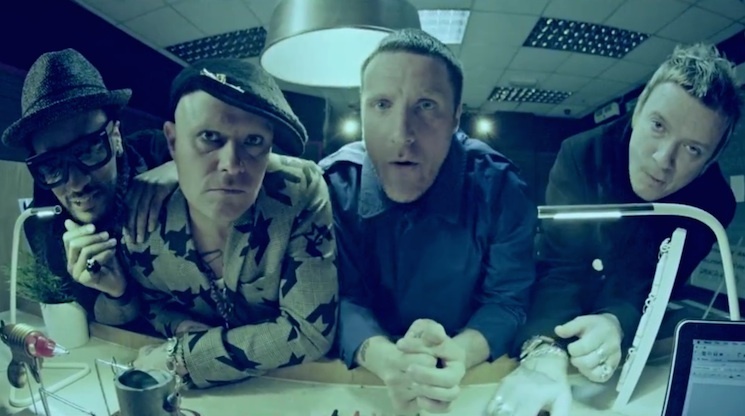 UK big beat survivors the Prodigy recently let us down with their disappointing album The Day Is My Enemy, but the release has birthed a pretty awesome video for their Sleaford Mods collaboration "Ibiza." The snarling post-punk act fit nicely with the Prodigy as they somewhat innocuously sneer at the camera. The song, which sees them griping about the lazy wankers who barely DJ in the world's biggest dance music scene. For the video, they take it out on a poor, unsuspecting travel agent. Watch the video for "Ibiza" below.